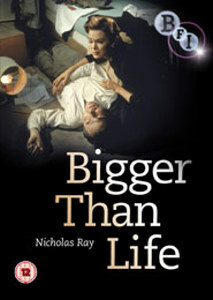 Though ignored at the time of its release, Nicholas Ray’s Bigger Than Life is now recognized as one of the great American films of the 1950s. 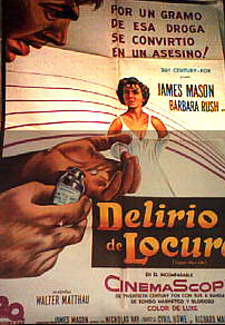 When a friendly, successful suburban teacher and father (James Mason, in one of his most indelible roles) is prescribed cortisone for a painful, possibly fatal affliction, he grows dangerously addicted to the experimental drug, resulting in his transformation into a psychotic and ultimately violent household despot. 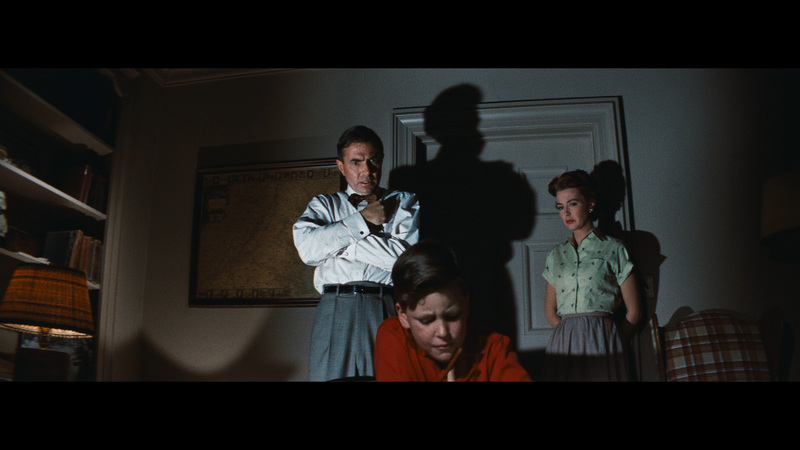 This Eisenhower-era throat-grabber, shot in expressive CinemaScope, is an excoriating take on the nuclear family. 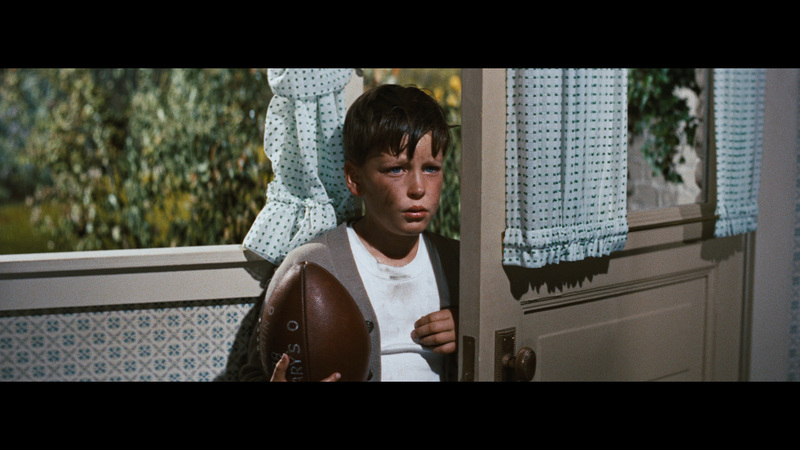 That it came in the day of Father Knows Best makes it all the more shocking—and wildly entertaining. 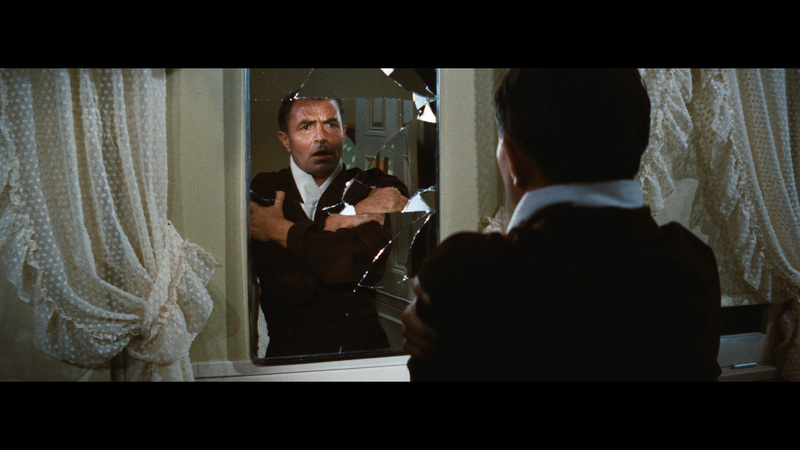 Bigger Than Life is one of the greatest American films of the 1950s, a high point in the careers of lead actor James Mason and director Nicholas Ray. 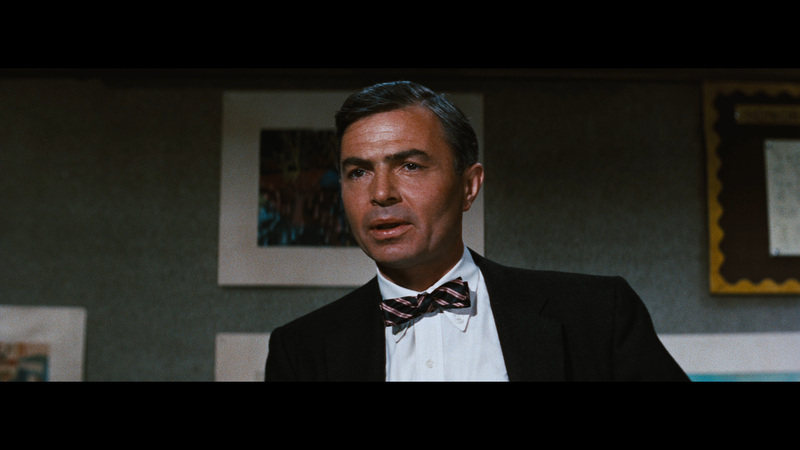 James Mason gives a towering performance as Ed Avery, a happily married schoolteacher who agrees to take a new 'miracle drug' when diagnosed with a potentially fatal disease. It is not long before the drug begins producing malevolent and murderous side-effects that bring to the fore all of Ed's long-repressed frustrations with his life. 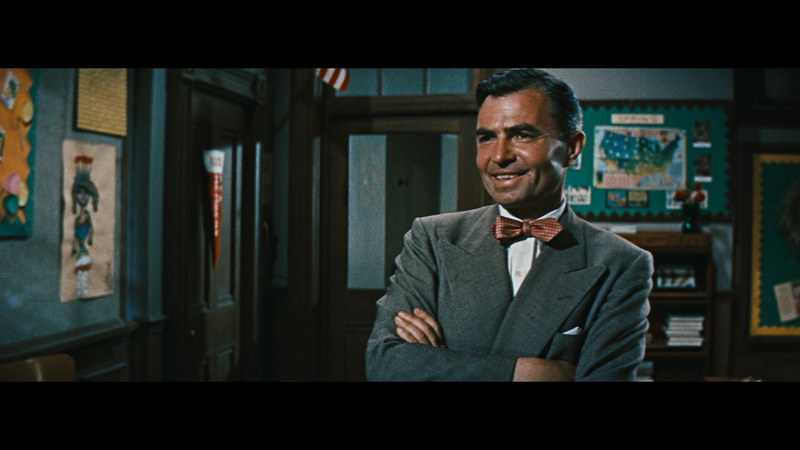 Mason's support is exceptional: Barbara Rush as Ed's devoted wife, Christopher Olsen as his cruelly punished son and Walter Matthau as his faithful colleague. 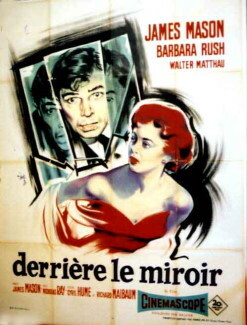 One of the cinema's most persuasive portraits of psychological turmoil, the film also succeeds magnificently as searing melodrama and subversive social critique, with Ray, his scriptwriters and cinematographer achieving a perfect balance between emotional realism and expressionist allegory. A superbly shot critique of the suffocating conformity, repression and materialism at the heart of middle-class life, Bigger Than Life is the American Beauty of 50s cinema. 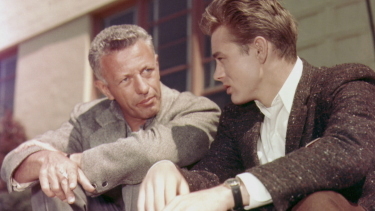 It may not be as well known to audiences as Rebel Without A Cause and In A Lonely Place, but Nicholas Ray's allegorical domestic melodrama lays claim to being the maverick American director's finest and most subversive work. 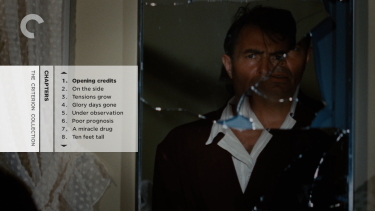 ADDITION- Criterion - Region 'A' - Blu-ray February 2010: I always suspected that the DVD transfers (obviously similarly sourced) where horizontally stretched with characters heads and faces looking wider than they were intended (ex. 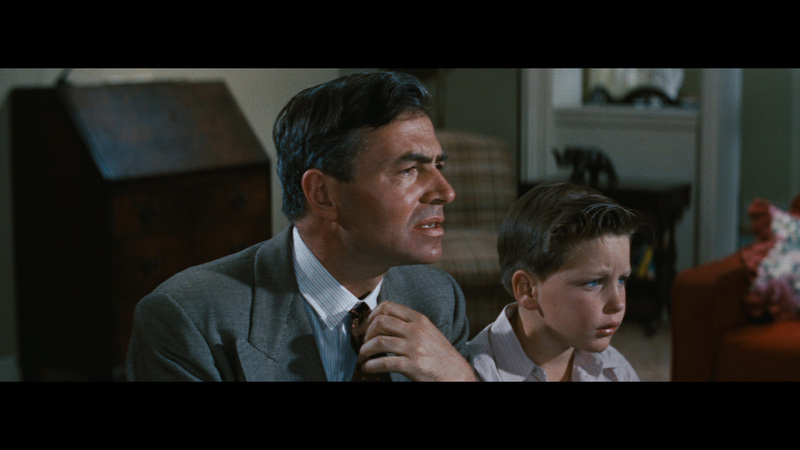 Mason's head in the 2nd large capture as he watches television beside his boy), but now this can be confirmed with the new Criterion 1080P transfer. 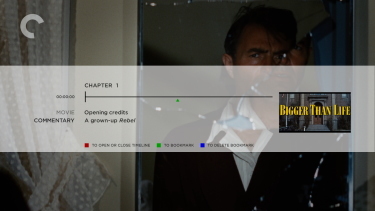 What is also quite astounding is how much is cropped from the edges of the DVD transfers. That is a significant amount of information to lose in the frame, IMO. 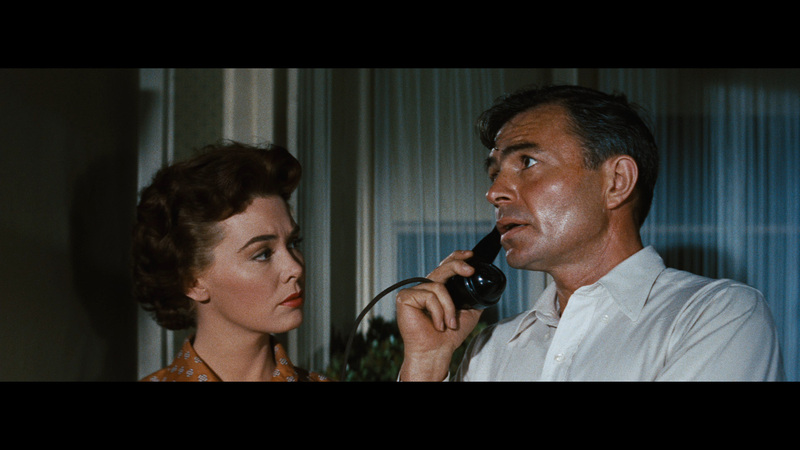 The Criterion is clocking in at an exacting 2.55:1 aspect ratio. 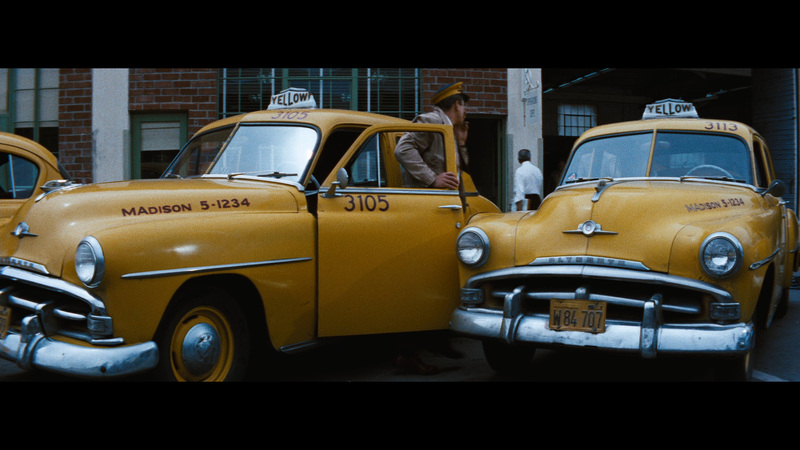 As far as the image quality goes - the Blu-ray looks magnificent with colors taking a sharp turn to the more accurate (yellow taxis are a fine example), detail expectantly advancing and a wonderful sheen of fine grain notably texturing the visuals. Flesh tones are a warmer and most colors are tighter and more vibrant. Contrast looks strong as well with rich effective black levels. The video bitrate is about 4.5 X that of both DVDs and it improves every facet of the image presentation. Audio also makes the move to HD with a linear PCM 1.0 track at 1152 kbps. Criterion stick with the original but even in mono the soundtrack attributes are improved. The dialogue is exceptionally clean and consistent with some surprising resonance. 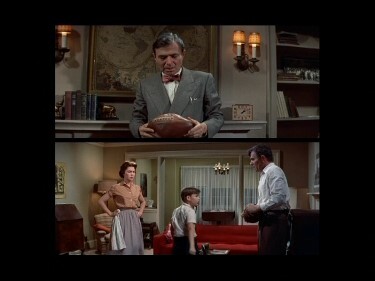 The broken vase (football throwing in the living room) was notable as were other extraneous noises. I have no complaints. There are optional English subtitles and my Momitsu has identified it as being a region 'A'-locked. 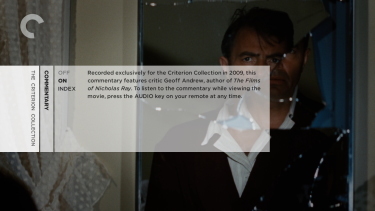 Criterion don't disappoint in the included supplements with a highly professional audio commentary, recorded for the Criterion Collection in 2009, featuring critic Geoff Andrew (author of The Films of Nicholas Ray) . In retrospect he seems to be the perfect choice making me very desirous of owning his book. 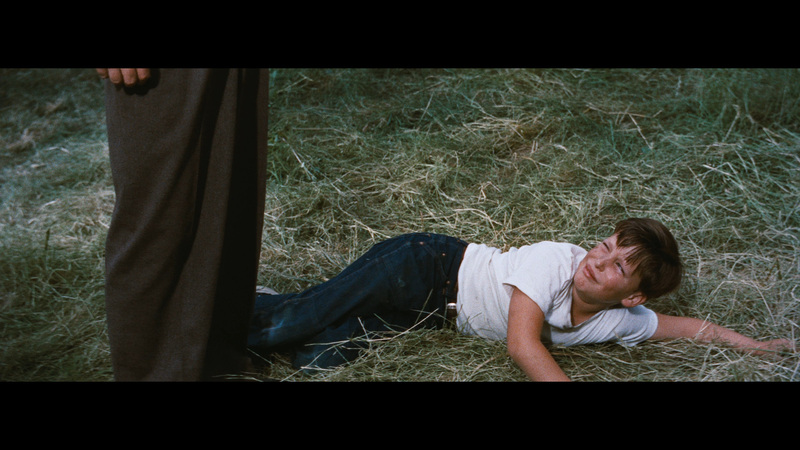 I was very content listening to all he had to offer - discussing the film, and the man, as Bigger Than Life progressed. 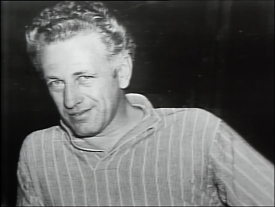 All video extras are in HD - Profile of Nicholas Ray (1977), is a half-hour television interview, with the director, hosted by Cliff Jahr. 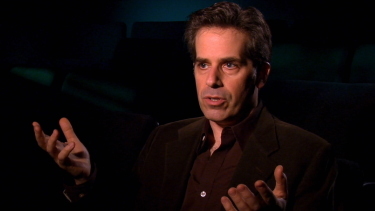 It provides a revealing look at the director's thematic interests, his love of actors and unique perspective on cinema. 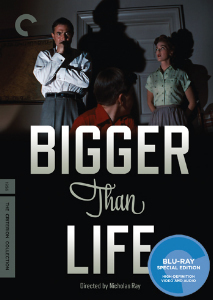 There is a new video appreciation of Bigger Than Life with author Jonathan Lethem (Chronic City) - who adds a personal perspective on one of his favorite films. 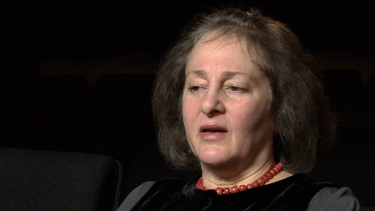 Included is a video interview with Susan Ray, widow of the director and editor of I Was Interrupted: Nicholas Ray on Making Movies for just over 20 minutes. 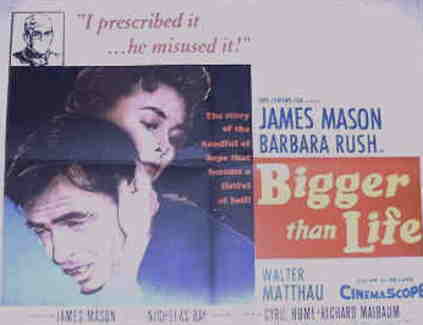 She discusses her late husband's erratic work methods and recollections of Bigger Than Life. We also get a theatrical trailer and 24-page liner notes booklet featuring, photos and an essay by critic and video maker B. Kite. 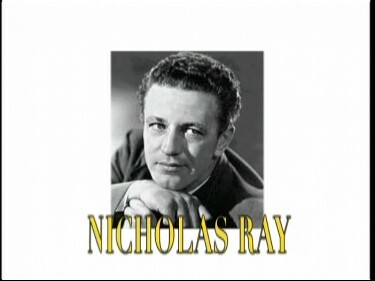 The more you learn about Nicholas Ray the more his reputation and enigmatic persona seems to swell to incredibly curious proportions. 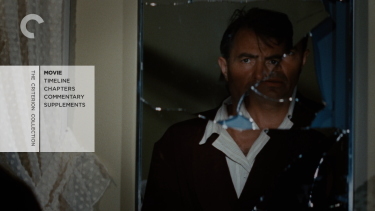 I'd rate this and The Savage Innocents as my favorite of his films (although, there are so many - Rebel Without a Cause (1955), Johnny Guitar (1954), In a Lonely Place (1950), They Live by Night (1948) etc. etc.) Criterion have lived up to their impressive output with yet another essential release. The transfer looking so wonderful would be enough for an endorsement but tack on the extensive extras and we have a solid contender for Blu-ray of the Year 2010. 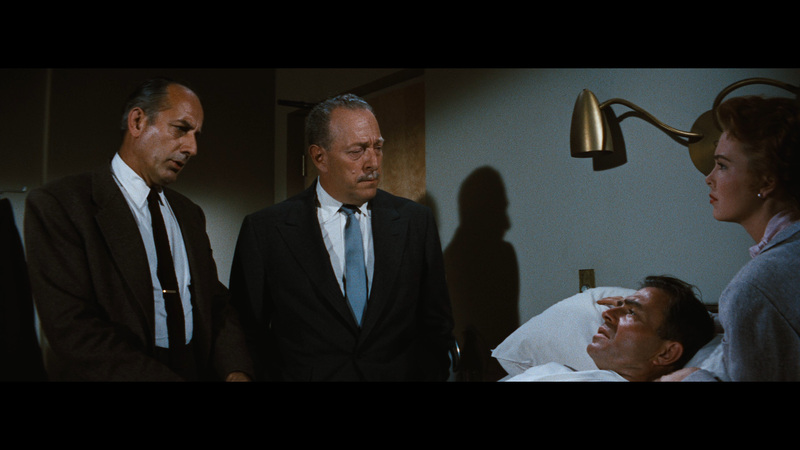 I will get years of pleasure re-watching this film with the supplementary analyses included. We give it our highest recommendation. 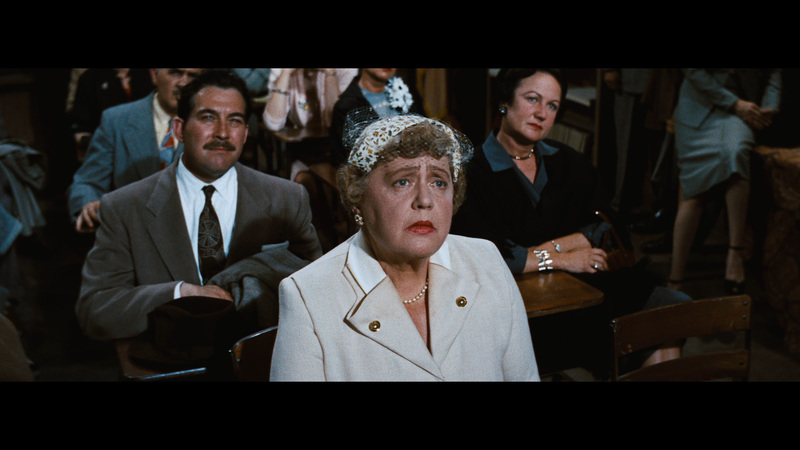 ADDITION: BFI - July 07': I'm very pleased to report that the new BFI disc of Ray's wonderful film has the same strong image quality as the Carlotta from two years earlier. 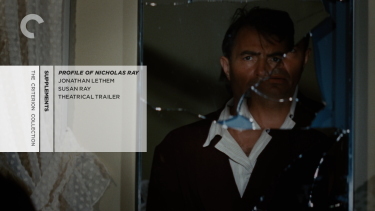 Colors have some minor variance, here and there, but the infrequent damage marks are the same and this anamorphic and progressive scope film looks excellent. 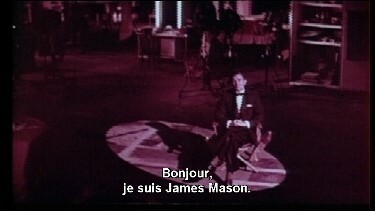 Where the BFI edition significantly improves is adding optional English subtitles and a host of good extras. 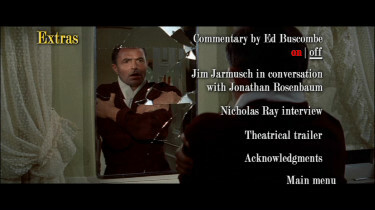 Firstly, an exciting new commentary by author Edward Buscombe - a half hour conversation with, DVDBeaver contributor, Jonathan Rosenbaum and filmmaker Jim Jarmusch (Dead Man, Down By Law, Stranger Than Paradise etc.) - it's quite a nice addition. 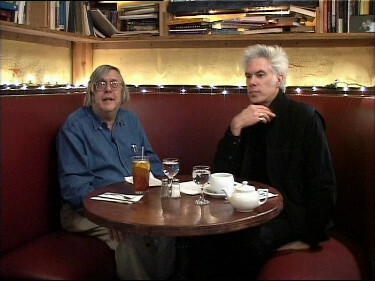 There are also some extracts from a 1969 interview with Ray during a montage of images of the man and some of his films. It is 6:35. 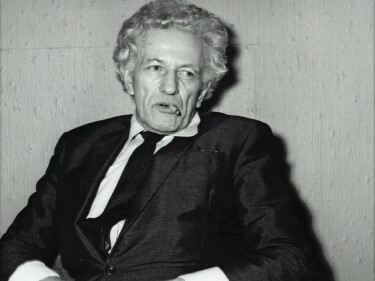 Finally we have a theatrical trailer and a beautiful 22-page liner notes booklet with color photos, essays by Geoff Andrew, author of The Films of Nicholas Ray (BFI, 2004); Jeanine Basinger and Susan Ray, and biographies. So if you don't own this gem yet - it's an easy purchase recommendation - If, per chance - you already own the Carlotta - is it worth the upgrade? Absolutely! Don't hesitate. 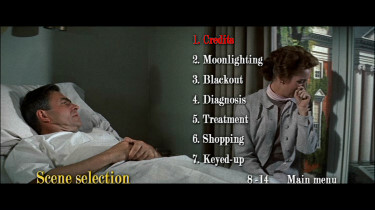 RE: The Carlotta: NOTE: Going by the initial menus one might expect this to be like many of this years crop of un-transferred (in NTSC) a great English language films by French production companies that have player generated forced subtitles on the original English audio track. BUT on all three of my Malata DVD players (856, 393a, 520) this was not the case - these subtitles are NOT forced on the English audio. 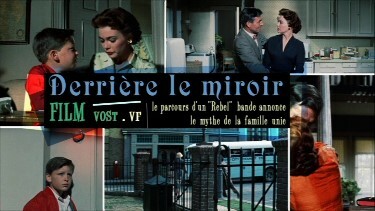 So I can only make the assumption that they are not forced on any players but even if they are mandatory on some DVD playback units, they easily removable on all computers with DVD burners (see HERE) - software is free, unfortunately the film is slightly more than 4.75 Gig (single layer blank) clocking in as the English film only (no subs or menus) at 4.973 Gig. This means there will be some slight degradation in image quality, but, I will assume, it will be so small that it should not really be noticeable. 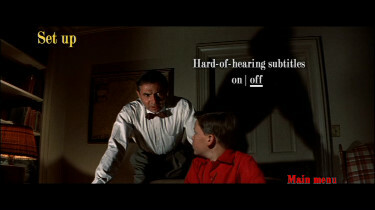 Our assumption is that these subs will not be forced on any DVD players but can only go by the ones we own. If we hear that they are mandatory on some players we will report which player it is in this review. So far though, the news is very good. 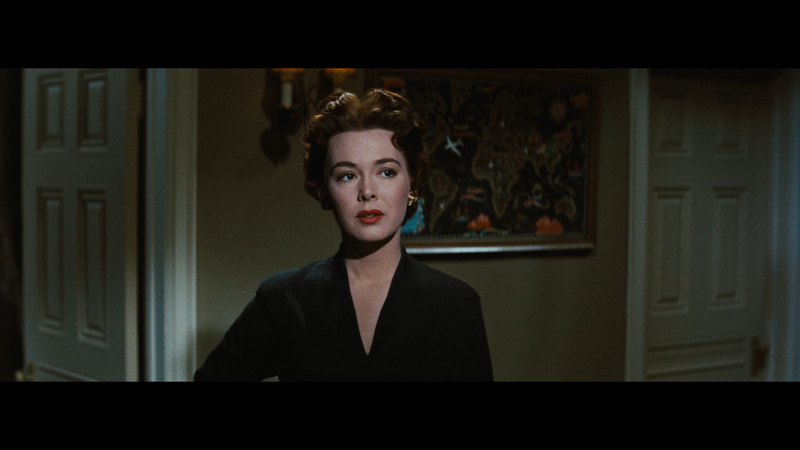 Fabulous anamorphic and progressive image on this Carlotta DVD. The colors are wonderfully bright hues. The image is tight to the frame maximizing horizontal resolution but can seem a bit horizontally stretched. The extras are unfortunately all in French (only) but the dialogue audio was clear and very consistent in the main feature. Overall this is a great release that may get a vote or 2 in the Year End Poll. 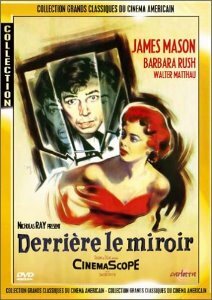 We will try to review all the Classics Du American Cinema recently released by Carlotta. If they are as good as this one we will be making further recommendations.